Reasonable basis: Reasonable basis is the threshold judges have to apply in order to authorise the start of an investigation. It is the lowest threshold and defined Article 53(a) of the Rome Statute. Reasonable grounds to believe: Reasonable grounds to believe is the threshold judges have to apply for the issue of an arrest warrant. There must be reasonable grounds to believe that the person has committed the crimes. It is the second lowest threshold and slightly more difficult to meet than “reasonable basis.” This standard is entailed in Article 58(1)(a) of the Rome Statute. Referral: Besides an investigation initiated by the prosecutor proprio motu, the UN Security Council has the power to trigger the start of an investigation. The Rome Statute provides for a referral by the Security Council through a resolution adopted under Article VII of the UN Charter. Only situations can be referred, no cases. Even though the Statute does not provide for “self-referrals”, they have become a familiar concept in the first years of the ICC. States like Uganda have referred a situation in their own country to the Court. Examples of Security Council referrals are the situations in Libya and Darfur. 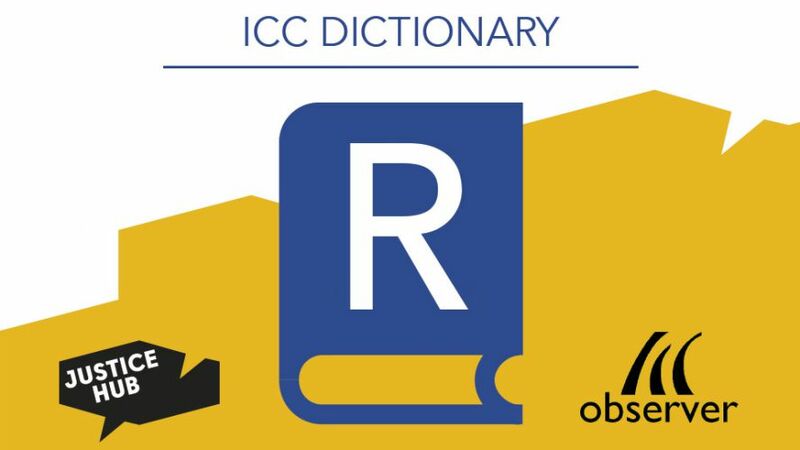 Registry: The Registry is the organ of the ICC which is responsible for the administration of the Court. It is headed by the Registrar and works in full neutrality to serve all organs and parties equally. For example, the Registry is in charge of distributing the documents to all parties, keeping the trial records and maintaining the ICC website. Reparations for victims: The ICC can compel a convicted person to pay reparations to victims. 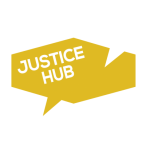 Victims can apply for reparation at any time of the proceedings by filling in and submitting a standard form. In cases where the perpetrator has no financial means, the Court can also order that reparations be paid by the Trust Fund for Victims. Judges can decide to grant individual or collective reparations. Representative of victims: Every representative of victims has to apply to be able to participate in the proceedings. The representative can challenge the admissibility of a case or of evidence. The representative can be restricted to written submissions and can be denied participation if (s)he acts in a prejudicial manner. Retrial: An Appeals Chamber can reverse or amend a decision made by the Trial Chamber. It can also send a case or parts of it back to the Trial Chamber, i.e., order a new trial before different judges. Rome Statute: The Rome Statute is the founding treaty of the ICC. The document was adopted at a states’ conference on 17 July 1998 in Rome and entered into force on 1 July 2002. The Statute contains 128 articles and is organised in 13 sections. Countries that want to become a member state of the ICC must ratify the Rome Statute. So far, more than 120 countries have become member states of the Court. Have a look at the other letters: A, B, C, D, E, F, G, H, I, J, L, M, N, O, P, S, T, V, W and the Numbers 1-10.